OPEC has boosted oil production in October to the highest since 2016, a Reuters survey found, as higher output led by the United Arab Emirates and Libya more than offset a cut in Iranian shipments due to U.S. sanctions. The 15-member Organization of the Petroleum Exporting Countries has pumped 33.31 million barrels per day this month, the survey on Wednesday found, up 390,000 bpd from September and the highest by OPEC as a group since December 2016. OPEC agreed in June to pump more oil after pressure from U.S. President Donald Trump to curb rising prices and make up for an expected shortfall in Iranian exports. Oil LCOc1 hit a four-year high of $86.74 a barrel on Oct. 3 but has since eased to $76 as concerns over tight supplies faded. “Oil producers appear to be successfully offsetting the supply outages from Iran and Venezuela,” said Carsten Fritsch, analyst at Commerzbank in Frankfurt. The June pact involved OPEC, Russia and other non-members returning to 100 percent compliance with output cuts that began in January 2017, after months of underproduction in Venezuela, Angola and elsewhere had pushed adherence above 160 percent. In October, the 12 OPEC members bound by the supply-limiting agreement lowered compliance to 107 percent as production rose, from a revised 122 percent in September, the survey found. This is the closest OPEC has moved to 100 percent compliance since the June agreement. The biggest increase has come this month from the UAE. Output in October rose by 200,000 bpd to 3.25 million bpd, the survey found, and could in theory rise further as the UAE says its oil-production capacity will reach 3.5 million bpd by the year-end. The second-largest came from Libya where production averaged 1.22 million bpd, the survey found, a rise of 170,000 bpd. Libyan output remains volatile due to unrest, raising questions about the stability of current OPEC production. Saudi Arabia, after opening the taps in June and then scaling back its plans to pump more, supplied 10.65 million bpd in October, more than in June and close to a record high, the survey found. The kingdom, OPEC’s top producer, has indicated it is concerned about potential oversupply, raising the prospect that its next production adjustment could be to rein in output. OPEC’s second-largest producer, Iraq, also raised output in October. Iraqi supply could rise further if Iraq’s new government goes ahead with a deal reached by the outgoing administration and the Kurdistan Regional Government (KRG) to resume exporting Kirkuk crude to Turkey via the KRG. Angola, where natural declines at oilfields curbed production in recent years, boosted supply in October due to supply from a new field, Gindungo. Output is still far below its OPEC target. Supply in Nigeria rose by 30,000 bpd. Like Libya, Nigeria is not part of the OPEC supply-cutting pact because it often faces unplanned outages stemming from unrest. Output in Kuwait edged lower, the survey found. The country had raised production in July following the OPEC deal, and kept it steady in August and September. Among countries with lower output, the biggest drop - 100,000 bpd - occurred in Iran. Exports fell as returning U.S. sanctions discouraged companies from buying the country’s oil, although the decline was lower than some analysts expected. “Iran is going to come in above expectations,” said an industry source who tracks OPEC output, referring to Iranian supply in October. Production also slipped further in Venezuela, where a lack of funds for the oil industry because of the country’s economic crisis is cutting refinery operations and crude exports. Despite these decreases, OPEC output in October has risen to the highest since December 2016, the month before the supply-cutting pact took effect, according to Reuters surveys. Some of the extra oil has come from Congo Republic and Equatorial Guinea, which joined OPEC in 2018 and 2017 respectively. Before Congo joined, OPEC had an implied production target for 2018 of 32.78 million bpd, based on cutbacks detailed in late 2016 and Nigeria and Libya’s expectations of 2018 output. According to the survey, OPEC excluding Congo pumped about 530,000 bpd above this implied target in October. The survey aims to track supply to the market and is based on shipping data provided by external sources, Thomson Reuters flows data and information provided by sources at oil companies, OPEC and consulting firms. Crude oil production from onshore federal lands reached a record high over the first seven months of this year, New York Times’ Eric Lipton said in a tweet responding to a claim that oil production in Wyoming had peaked three years ago. Lipton quoted data from the Department of the Interior, which has not been made public yet, as part of an investigation he and climate reporter Hiroko Tabuchi recently published about a second shale oil boom. The investigation cites calculations based in Interior Department data made by Taxpayers for Common Sense, which suggests over 12.8 million acres of federal land were offered for leasing to oil and gas companies in FY 2018, which ended last month. This, Lipton and Tabuchi note, is three times more than the average acreage offered for leasing during the second Obama administration. Take-up has also been higher: leases in the same 12 months were the highest since 2012, the peak of the first shale revolution, as the Trump administration pursues its energy dominance agenda. The figures from the first seven months of this year follow another record set last year. Reuters reported in June that crude oil production from federal lands and waters rose 7 percent in 2017 to the highest since at least 2007 if not longer. The average daily stood at 2.22 million barrels, compared with 2.07 million barrels daily a year earlier. Washington has been doing its best to stimulate a second shale boom by rolling back Obama-era regulations that restricted drilling on federal lands. This has naturally sparked a lot of opposition, so part of the changes introduced by the Trump administration have targeted opponents to the oil and gas industry by reducing the opportunities that drilling opponents have to put the brakes on oil and gas exploration. Earlier this year, the Interior Department approved a policy featuring provisions such as a 60-day deadline for processing proposed lease sales and cutting the protest periods to 10 days. Also, the department repealed a provision approved by the previous administration that gave other users of federal land such as hunters and anglers the power to object to a lease sale. In addition, the public participation in some lease sale reviews was redirected to lower-level government officials, and environmental reviews of lease sales were reduced to six months with BLM officials no longer required to visit the site of the lease while they conduct the review. Venezuela’s state oil company PDVSA has made a US$949-million payment on a bond maturing in 2020, Argus Media reports, citing sources from the financial sector. 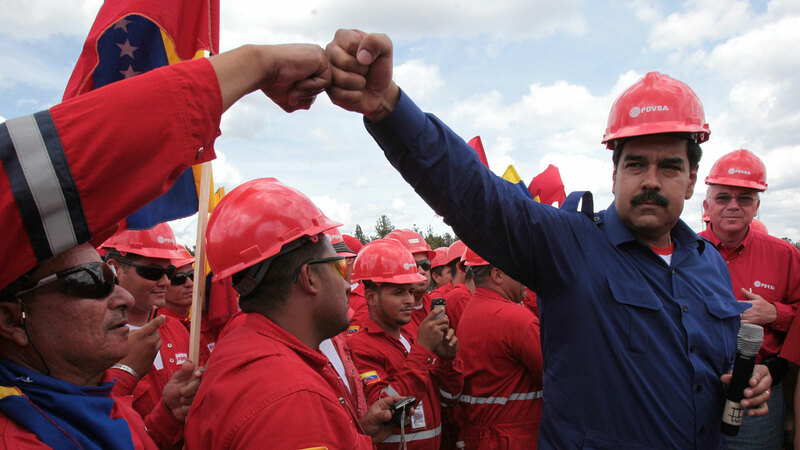 The report noted that this is PDVSA’s only bond it has not defaulted on and that the payment included both principal and interest: US$842 million in principal and US$107 million in interest. This bond is backed by 50.1 percent of the stock of PDVSA’s U.S. business, Citgo, with the rest of the stock was offered to Russian Rosneft as backing for a US$1.5-billion oil-for-cash deal that last year sparked worry in Washington that Rosneft could come to control a sizeable portion of a U.S. company if PDVSA defaulted on these particular payments. At the time, the danger of default was seen as considerable. The troubled Venezuelan company also has two more payments on this bond coming due next year, one a US$71-million interest installment and another US$842 million in principal payment. It’s not clear how much longer PDVSA will be able to continue servicing the payments on this particular bond, analysts at JP Morgan, Torino Capital, and Eurasia Group told Bloomberg, which reported on the upcoming payment last week, saying that the government of Nicolas Maduro would make the payment due at the end of this month because it will want to hang onto this key asset as long as possible. Citgo, however, itself has debts of US$3 billion, and some of it may have to be repaid. Earlier this year, Canadian gold miner Crystallex won the right to tap Citgo for compensation of US$1.4 billion for the forced nationalization of its assets by the Hugo Chavez government. Russia’s largest producer Rosneft could also claim Citgo shares, if PDVSA, which had pledged 49.9 percent in Citgo as collateral for loans from Rosneft in 2016, defaults on those loans. Pakistan’s Imran Khan rushed to support Mohammed bin Salman as the Khashoggi murder case destroyed the kingdom’s credibility—and the move paid off. Pakistan has emerged as an apparent winner from the international outcry that followed a Saudi hit team’s murder of journalist Jamal Khashoggi in Istanbul at the beginning of October. By rushing to stand by Saudi Crown Prince Mohammed bin Salman, widely accused of ordering the execution, Pakistani Prime Minister Imran Khan got a $6 billion aid package, which he desperately needs to salvage the Pakistani economy. There undoubtedly is more to the deal, including benefits for Saudi-backed terrorist groups in Pakistan. Khan was elected in August as a populist who promised to shake up Pakistani politics and fight corruption. He was aided by the all-powerful army intelligence service, the ISI, which was determined to keep former Prime Minister Nawaz Sharif’s party from regaining power. Khan has long been a harsh critic of the United States and friendly to the Taliban. Better known for leading his country as a cricketer than as a politician, Khan is a man in a hurry. He inherited an economy in crisis, and shortly after the election Khan traveled to Saudi Arabia looking for a bailout. The Kingdom has been a major aid donor to Pakistan for decades, but the Saudi war in Yemen has strained relations. Nawaz Sharif turned down Mohammed bin Salman’s repeated requests for Pakistani troops to help pursue the war against the Houthis in Yemen. Sharif took the Saudi request to the Pakistani parliament, which unanimously voted against sending troops—a stunning rebuke to Riyadh and the crown prince. Without Pakistani armor the war quickly became a stalemate and an expensive quagmire for Saudi Arabia. It costs at least $50 billion a year and has created one of the world’s worst humanitarian crises. The Pakistani “no” on Yemen sent another message. For decades, Saudi Arabia had implied that if it ever needed nuclear weapons it would have access to the Pakistani nuclear arsenal, the fastest growing nuclear weapons inventory in the world. But if Pakistan would not send troops to fight the Houthis, it would surely not send the bomb. Mohammed bin Salman, widely known as MBS, had eroded the Kingdom’s deterrent with his reckless behavior in Yemen. Imran Khan did not get a handout from his first trip in September, but he went back last week, and the Saudi crown prince is now a much-diminished figure in the wake of the Istanbul affair. Once touted as a reformer who would transform the Kingdom, he is now condemned for the murder of Khashoggi, the humanitarian catastrophe in Yemen, a series of diplomatic gaffes, and repression at home. A much advertised investment conference in Riyadh was boycotted by most invitees from the West. The Saudi cover story changed daily. Khan got a deal this time. In fact, he got a bigger deal from his second trip than he had asked for on his first. The Saudis provided Khan with a $3 billion balance of payments deposit at a time when Pakistan’s reserves are at a four-year low. In addition, the Saudis agreed to defer payments for oil deliveries to Pakistan for three years, which is worth at least another $3 billion. The Pakistanis are asking the United Arab Emirates, Saudi Arabia’s junior partner in Yemen, for additional aid. Pakistani Foreign Minister Shah Qureshi has said that there are no strings attached. Asked how the deal happened, the urbane Qureshi said “by the grace of the Holy Prophet.” He was adamant that Pakistan is not changing its approach on Yemen, and since Khan’s party is a strong critic of the war, that’s probably correct. Qureshi also said that the Saudi deal has nothing to do with the ongoing criminal charges against Nawaz Sharif. Since the deal was signed, the Pakistani government has removed from a list of proscribed groups two organizations headed by Hafiz Saeed—the mastermind of the Mumbai terrorist attack, which took place 10 years ago next month. Saeed was one of the few voices who lobbied to send Pakistani troops to fight in Yemen and he has long raised funds for his terrorist activities in the Kingdom. He also has close ties to the ISI, which trained and assisted the Mumbai killers. The ISI also has a long record of killing journalists who write about its connections to terrorists like Saeed. He has a $10 million bounty on his head from the United States. By his own admission, Khan was desperate to get a deal, and he played his cards wisely. He can also seek help from the Chinese and Iranians in the weeks ahead. China has made a multibillion-dollar commitment to build an economic corridor across Pakistan linking western China to the Persian Gulf with a new port at Gwadar on the Gulf of Oman. Khan has said he wants to mediate between Saudi Arabia and Iran to ease tensions in the region and reduce sectarian violence between Sunnis and Shias. Pakistan has a large Shia majority and needs to calm down the Saudi-Iranian proxy war. The United States also needs Pakistan to help it get out of Afghanistan. Donald Trump is a reluctant warrior in Afghanistan. He agreed to stay last year against his own intuition. The Pakistanis have provided sanctuary and safe havens for the Afghan Taliban for 17 years. The ISI trains them and helps plan their military operations. The army leadership has stonewalled American generals and diplomats from three administrations seeking to end the connection to the Taliban. It’s only gotten stronger. Pakistan is still in deep economic trouble and will probably need IMF aid. Khan played the Khashoggi backlash to his advantage in Riyadh, but it is way too soon to suggest that he has a coherent plan to make Pakistan prosperous and corruption free. For now, it is amusing to see Mister Bone Saw—MBS’ new nickname—get shaken down by a batsman. A new oil pricing benchmark launched Monday that could make Houston the new hub for U.S. oil pricing. The commodities trading firm Intercontinental Exchange Inc., called ICE, initiated the West Texas Intermediate pricing guide that will price oil based on volumes produced from the Permian Basin and delivered to Houston's refining and export hub. The new ICE Permian WTI futures contract will price West Texas oil delivered to Magellan Midstream Partners' large terminal in East Houston along the Houston Ship Channel. West Texas' booming Permian Basin is producing a record volume of about 3.5 million barrels of oil a day - nearly one-third of the nation's total. With those rising volumes much more oil is headed to export destinations out of Houston and Corpus Christi. With most of the nation's oil exports shipped from the Gulf Coast, ICE sees Houston as a more accurate delivery point than the current West Texas Intermediate benchmark that's delivered to Cushing, Okla. Cushing is a major storage and trading hub nicknamed the pipeline crossroads of the world. "We're offering customers a trusted standard for WTI straight from the Permian Basin, and over time, it's one that we think could develop into a benchmark for other grades to price around. "said Jeff Barbuto, vice president of oil markets at ICE. Saudi Arabia's public prosecutor said on Thursday the murder of journalist Jamal Khashoggi in the kingdom's Istanbul consulate was premeditated, reversing previous official statements that the killing was unintended. The death of Khashoggi, a Washington Post columnist and critic of de facto Saudi ruler Crown Prince Mohammed bin Salman, has sparked global outrage and mushroomed into a crisis for the world's top oil exporter and strategic ally of the West. Saudi officials initially denied having anything to do with Khashoggi's disappearance after he entered the consulate on Oct. 2, before changing the official account to say an internal investigation suggested Khashoggi was accidentally killed in a botched operation to return him to the kingdom. Turkey and Western allies of Riyadh have voiced deep scepticism about Saudi explanations of the killing, with Turkish President Tayyip Erdogan dismissing Saudi efforts to blame rogue operatives and urging the kingdom to search "top to bottom" for those responsible. On Thursday, Saudi state TV quoted the Saudi public prosecutor as saying the killing was premeditated, and that prosecutors were interrogating suspects on the basis of information provided by a joint Saudi-Turkish task force. "Information from the Turkish side affirms that the suspects in Khashoggi's case premeditated their crime," said the statement carried by state TV. The disclosure came a day after U.S. President Donald Trump, the kingdom's staunchest Western ally, was quoted by the Wall Street Journal as saying that Prince Mohammed, also known as MbS, bore ultimate responsibility for the operation that led to Khashoggi's death. Two informed sources told Reuters on Thursday that CIA director Gina Haspel heard an audio recording of the killing during a fact-finding visit to Turkey this week, the first indication Ankara has shared its key investigative evidence. A White House spokeswoman said Haspel would meet with Trump later on Thursday to brief him on the case. Representatives of the CIA declined to comment. "We have shared with those who sought additional information some of the information and findings that the prosecutor has allowed us to share," Turkish Foreign Minister Mevlut Cavusoglu told reporters, without giving specific details. Saudi Arabia has detained 18 people and dismissed five senior government officials as part of the investigation into Khashoggi's murder. Some were members of a 15-man hit team, many of them Saudi intelligence operatives, who flew into Istanbul hours before Khashoggi's death, Turkish security sources say. Turkish police were investigating water samples from a well at the consulate on Thursday after initially being denied access, broadcaster CNN Turk said. King Salman, who has delegated the day-to-day running of Saudi Arabia to his son MbS, on Saturday ordered a restructuring of the general intelligence agency. Saudi state news agency SPA said on Thursday that MbS had presided over the first meeting of a committee to carry out that restructuring and that it had come up with recommendations to improve the agency's work. How Western allies deal with Riyadh will hinge on the extent to which they believe responsibility for Khashoggi's death lies directly with MbS and the Saudi authorities. MbS promised on Wednesday the killers would be brought to justice, his first public comments on the matter after speaking by phone with Erdogan. Erdogan has called Khashoggi's murder a "savage killing" and demanded Riyadh punish those responsible, no matter how highly placed. Cavusoglu said Turkey had no intention of taking the Khashoggi case to an international court but would share information if an international inquiry were launched. Saudi Arabia is the lynchpin of a U.S.-backed regional bloc against Iran but the crisis has strained Riyadh's relations with the West. Dozens of Western officials, world bankers and company executives shunned a major three-day investment conference in Riyadh this week. But striking a defiant tone, MbS told international investors at the conference on Wednesday that the furor would not derail the kingdom's reform drive. "We will prove to the world that the two governments (Saudi and Turkish) are cooperating to punish any criminal, any culprit and at the end justice will prevail," he said to applause. Saudi Energy Minister Khalid Al-Falih conceded on Wednesday that the scandal had hurt the kingdom's image. But he said Saudi Arabia had signed $56 billion of deals at the conference despite the partial boycott and that it expected the United States to remain a key business partner. "The interests that tie us are bigger than what is being weakened by the failed boycotting campaign of the conference," he told Saudi state TV. Britain, like the United States a major weapons supplier to the kingdom, has described Riyadh's explanations for the killing as lacking credibility. France has said it will consider sanctions against Saudi Arabia if its intelligence services find Riyadh was behind Khashoggi's death. For their part, the Trump administration and the U.S. defense industry are scrambling to save the few actual deals in a much-touted $110 billion arms package for Saudi Arabia. Supermajors have had a great year so far, and their third-quarter results, to be released over the next couple of weeks, are likely to strengthen this impression. But this does not necessarily mean that investors will reward them. Investors have become a lot more careful in the past few years, and chances are they will want to see more proof of post-crisis flexibility and strict cost discipline before stock prices reflect an increase in trust. On the face of it, Exxon, Shell, Chevron, and their likes have everything going for them: oil prices are higher, free cash flow is coming in at higher rates, and there have even been a few discoveries, most notable among them Exxon’s 4-billion-barrel elephant off the coast of Guyana. But Big Oil still needs to be cautious. In a recent article for 24/7 Wall Street, its senior editor Paul Ausick noted the heightened prospects of even higher oil prices after a Reuters report revealed that OPEC has been having trouble lifting production by the promised 1 million bpd. From May to September, the cartel’s combined production plus Russia’s had fallen well short of that figure because of production declines in Venezuela, Iran, and Angola, among others. These, the internal OPEC document that Reuters saw, offset some substantial output hikes from Saudi Arabia, Russia, the UAE, Iraq, and Kuwait. What this means is that there seems to be less spare capacity than optimists believed. This, in turn, means prices are likely to climb further, despite a fresh assurance from Treasury Secretary Steven Mnuchin that traders have already factored in the U.S. sanctions against Iran. Mnuchin’s warning that Washington will insist on importers cutting Iranian crude imports by more than 20 percent most certainly has not helped rein in prices, though its effect has yet to be fully acknowledged. For Exxon, Shell, and Chevron, as well as the rest of the Big Oil club, higher prices are not something to be too happy about. There are already warnings from economists that Brent at US$80 has dampened demand from some major consumers including India. If the international benchmark adds another few dollars, the impact on demand will be more severe, and any negative price impact on oil demand will affect the supermajors. In other words, oil prices, which boosted the industry’s earnings in the first half of the year and is more likely than not to continue boosting them in the third quarter, could push these lower if they rise enough. Another thing investors are watching, Ausick noted in his review of Exxon and Chevron’s expected performance, is cost control. This is still big on the agenda of investors - even if Big Oil itself is slowly slipping back into the deep rut of the cycle: spending big when prices are high and cutting costs when prices drop. For now, this return to the industry norm has been very gradual—oil stocks have been underperforming oil prices consistently and companies are wary of scaring investors off—but if prices continue to be strong, risk appetite is bound to increase for both investors and companies. Big Oil, in other words, is being tested in a context of super volatility in prices brought about by uncomfortable uncertainties surrounding the world’s spare oil production capacity and demand prospects in emerging economies where growth is slowing down. Third-quarter figures might provide some indication as to how things stood at the end of September, but the situation is so dynamic right now they might tell us nothing about the next three months. Since the lifting of a decades-old ban on crude exports at the end of 2015, Houston has emerged as a major physical crude oil trading hub, overtaking the country’s primary crude benchmark (West Texas Intermediate, or “WTI”) pricing power long held in Cushing, Oklahoma due to access to major pipelines that run through it and ample storage space. The surge in crude oil production can be tied to the shale boom, particularly in the Permian Basin in West Texas and New Mexico, where vast amounts of crude oil flow directly to the Gulf Coast – oftentimes bypassing Cushing altogether – to destinations such as Asia, Europe and Latin America. Traders and market observers say WTI crude at Houston is a preferred futures contract hub over WTI Cushing because it better reflects global market balance and offers a more liquid market for export customers. Since the lifting of the crude oil export ban, U.S. crude exports have surged nearly 350%, from 490,000 barrels per day (bbl/d) in January 2016 to a record 2.2 MMbbl/d in June 2018, according to the U.S. Energy Information Administration (EIA). Rising oil production in the Permian Basin, which is estimated at around 3.5 MMbbl/d, along with increased U.S. light sweet crude exports to overseas customers, have prompted the launch of new physical futures contracts in Houston that are set to debut later this year. In fact, the U.S. port district of Houston-Galveston earlier this year began exporting more crude oil than it imported for the first time on record, according to EIA statistics. In April 2018, crude oil exports from Houston-Galveston surpassed crude oil imports by 15,000 bbl/d. In May 2018, the difference between crude oil exports and imports increased substantially to 470,000 bbl/d. The contract is expected to provide ample liquidity for traders and brokers seeking flexible hedging and trading opportunities for export shipments. Meanwhile, CME Group on September 24, 2018, announced that it intends to offer a new WTI Houston crude oil futures contract with three physical delivery locations on the Enterprise Houston system, pending regulatory review. WTI Houston crude oil futures will be listed with and subject to the rules of NYMEX, beginning with the January 2019 contract month. The new WTI Houston crude oil futures contract expands CME Group’s already robust suite of crude oil futures and options and will complement its global benchmark NYMEX WTI Light Sweet Crude Oil futures. 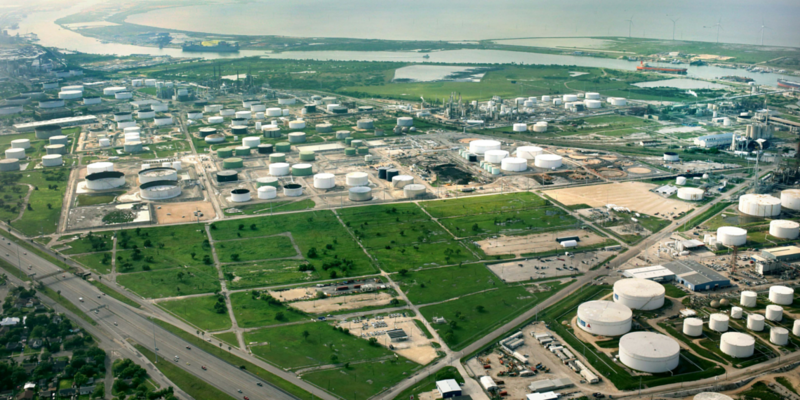 Participants will have the flexibility to make or take delivery of U.S. light sweet crude oil at the Enterprise Crude Houston (“ECHO”) terminal, Enterprise Houston Ship Channel (“EHSC”) or Genoa Junction through the new contract. Enterprise has a network of 19 ship docks along the U.S. Gulf Coast and is the largest exporter of crude oil in the U.S. and the ideal provider of delivery points for this physical WTI Houston futures contract, according to CME Group. Through its network of pipelines, storage and marine terminals, the firm has the capability to handle the flow of more than 4 MMbbl/d of crude oil. Participants will also benefit from access to a diverse group of refiners, storage facilities and export facilities through the Enterprise network. Opportune LLP’s Derivative Valuation group has heard very little from our existing clients about the new WTI Permian crude oil contracts delivered into Houston. Unfortunately, this is very common as we often deal with transactions that have already been executed. That being said, we routinely see examples of hedging mismatches. For instance, some companies have marketing agreements that sell WTI at Cushing and are erroneously hedged with Brent crude contracts. These pricing relationships tend to deteriorate over time and eventually result in both losses on production and the hedge itself. These costly mistakes can easily be avoided. He was the man who sold the world on his vision of a Saudi economy no longer dependent on oil. Now Crown Prince Mohammed bin Salman could become the biggest risk to his own project. Everything changed when Jamal Khashoggi walked into the Saudi consulate in Istanbul on Oct. 2 and didn’t come out. 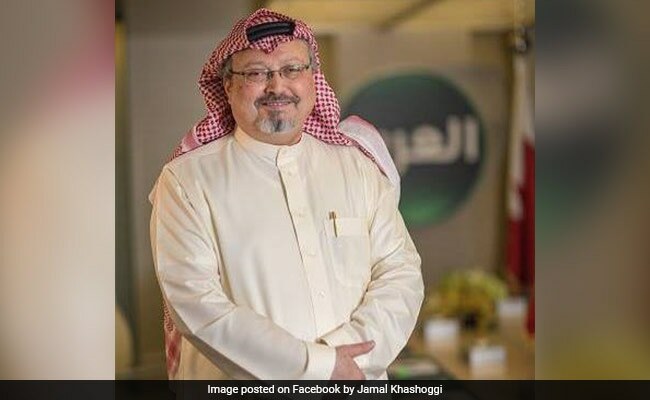 Allegations rapidly spread that the Washington-based journalist was murdered by a hit team sent from Riyadh. And suspicion naturally fell on the oil-rich kingdom’s de facto ruler, the 33-year-old heir to the throne. Prince Mohammed, who’s denied any knowledge of Khashoggi’s fate, still has his defenders -– notably Donald Trump. The U.S. president and his top diplomat have cautioned against putting America’s decades-old Saudi alliance at risk while they await the results of a Saudi investigation. But that’s in sharp contrast to a growing chorus of outrage, putting pressure on the White House to act. In Congress, lawmakers from Trump’s own party denounced the prince personally and demanded sanctions. And, crucially for Prince Mohammed’s economic plans, the global business leaders he courted are distancing themselves. The bosses of JPMorgan Chase & Co., Ford Motor Co. and Uber Technologies Inc. are among dozens of executives and policy makers scrapping plans to attend the prince’s business forum next week. For a leader who’s staked his country’s future on a surge in foreign investment, that’s an ominous indicator. 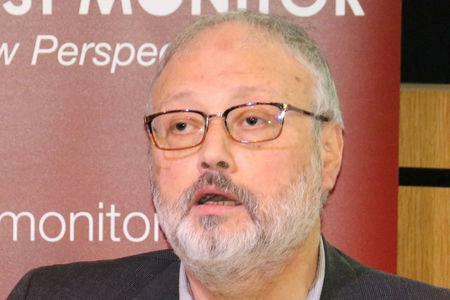 “What appears to be Saudi official complicity in Jamal’s disappearance, and perhaps death, sends all the wrong signals to the people and groups MBS needs to change Saudi Arabia in the direction he wants,’’ said Gregory Gause, a Saudi specialist at Texas A&M University. The investors the crown prince needs were already wavering. They were fine with showing up at lavish summits, at least until Khashoggi disappeared -– but the money wasn’t flowing. Foreign direct investment slumped more than 80 percent last year. In an interview this month, the crown prince said early data suggested a partial rebound in 2018. But to meet his 2020 targets, FDI needs to soar. Instead, even before the Khashoggi scandal, business leaders had seen enough in Prince Mohammed’s rule to unnerve them. At home, Saudi Arabia detained dozens of prominent local entrepreneurs as part of a supposed crackdown on graft. Abroad, it launched a boycott of Qatar, and got embroiled in disputes with Germany and Canada that threatened commercial deals with those countries. When his father King Salman ascended to the throne in 2015, Prince Mohammed began to leapfrog a generation of more experienced uncles and cousins, and eventually became heir to the throne. On the way he grabbed control over the key levers of the economy, including the central bank and oil giant Aramco, as well as the Defense Ministry. The crown prince set out to change a strict religious culture, and he delivered on some promises, allowing women to drive cars and loosening Saudi social life by permitting cinemas and concerts. Those measures won him fanfares in the West. Meanwhile, Prince Mohammed was abandoning a traditionally cautious foreign policy and seeking to assert Saudi power –- which led him to intervene in Yemen’s civil war. More than three years of Saudi bombing, directed against rebels said to be backed by Iran, has left thousands of civilians dead. On the economic front, the prince wanted to ditch a model based on state handouts of oil cash, and build a new private sector. A key driver was Saudi Arabia’s slowdown after the crude-price shock of 2014. The economy contracted 0.9 percent last year, and while the government expects growth of 2.1 percent in 2019, that’s still only about half the average pace between 2000 and 2014. Prince Mohammed worked hard to court U.S. executives who could potentially help meet his goals. During a visit earlier this year he met Amazon.com Inc. Chief Executive Officer Jeff Bezos and Microsoft Corp.’s Satya Nadella. But Prince Mohammed had to backtrack on some policies. His efforts to cut salaries and allowance met with signs of public opposition. And opposition to any of his initiatives hasn’t been tolerated, in a climate of fear. An economist who questioned the Aramco sale plan was arrested. So were women activists who’d campaigned for an end to the driving ban. So were dozens of people accused of collaboration with Qatar –- a charge also leveled at Khashoggi, before he disappeared. --With assistance from Ziad Daoud (Economist). OPEC is struggling to add barrels to the market after agreeing in June to increase output, an internal document seen by Reuters showed, as an increase in Saudi Arabia was offset by declines in Iran, Venezuela and Angola. The Organization of the Petroleum Exporting Countries and allies agreed in June to boost supply as U.S. President Donald Trump urged producers to offset losses caused by sanctions on Iran and to dampen rising prices. Saudi Energy Minister Khalid al-Falih said OPEC and non-OPEC would pump roughly an extra 1 million barrels per day (bpd) following the June agreement. The OPEC document seen by Reuters adds to signs they have yet to deliver the full amount. OPEC says it is on course to do so, although it hasn’t given a timeframe. “It is a work in progress,” OPEC Secretary General Mohammad Barkindo said earlier this week. The internal document prepared by OPEC’s Vienna headquarters for a technical panel meeting on Friday showed that OPEC members, excluding Nigeria, Libya and Congo pumped an extra 428,000 bpd in September compared to May. The OPEC and non-OPEC technical panel called the Joint Technical Committee reviews producers’ compliance with their oil supply pledges. Top exporter Saudi Arabia pumped most of the extra oil, raising output by 524,000 bpd in September compared to May, the document showed. Other increases came from Iraq, Kuwait and the United Arab Emirates. Iran, facing U.S. sanctions on its oil exports from Nov. 4, cut production by 376,000 bpd in September versus May, and has said OPEC and Saudi Arabia are not able to make up for a total loss of its exports. “There is no spare capacity,” Iran’s OPEC governor, Hossein Kazempour Ardebili, said last month. Among other OPEC members, production fell by 189,000 bpd in Venezuela and by 17,000 bpd in Angola. The non-OPEC nations cooperating with OPEC pumped an extra 296,000 bpd since May, the OPEC document showed. Russia increased output by 389,000 bpd, although Kazakhstan, Mexico and Malaysia posted declines. Nigeria, Libya and Congo are not included in OPEC’s supply-limiting pact. Including them brings the increase in OPEC’s output in September to 628,000 bpd. Ghana launched a licensing round on October 15. This is the first open and competitive bidding round that the country has held, previously choosing to hold direct negotiations with oil and gas firms for acreage. Ghana is offering up three blocks in its offshore Central Basin. According to reports, the licensing round has already attracted interest from major E&P firms, which have been conspicuously absent in Ghana’s burgeoning oil and gas sector to date. Initial indications from sources in the Ministry of Energy suggest that BP, ExxonMobil, Total, Chevron Texaco, Rosneft, Sinopec and CNOCC will all be participating in the bidding. The tender process is specifically focused on expediting exploration activity in the Central Basin. Ghana is calling on firms with the financial capacity and technical competence, coupled with the timescale for work program activity. Fiscal terms, including royalty payments to the government and Ghana National Petroleum Corporation (GNPC) equity is also an important issue in the tender process, as well as the equity and skills transfer to local partners under the local content aspect. Khalid Al-Falih, Saudi Arabia's energy and industry minister, arrives for the 171st Organization of Petroleum Exporting Countries (OPEC) meeting in Vienna, Austria, on Wednesday, Nov. 30, 2016. OPEC has urged its members not to mention oil prices when discussing policy in a break from the past, as the oil producing group seeks to avoid the risk of U.S. legal action for manipulating the market, sources close to OPEC said. Proposed U.S. legislation known as “NOPEC”, which could open the group up to anti-trust lawsuits, has long lain dormant, with previous American presidents signaling that they would veto any move to make it law. But U.S. President Donald Trump has been a vocal critic of the Organisation of the Petroleum Exporting Countries, blaming it for high oil prices and urging it to increase output to relieve pressure on a market hovering around four-year highs. That has made OPEC and its unofficial leader, Saudi Arabia, nervous about what it might mean for NOPEC, or No Oil Producing and Exporting Cartels Act. The decision to refrain from discussing a preferred oil price level — one way the group can guide market expectations — underlines how Trump’s aggressive stance on the oil market is unsettling OPEC and testing ties between allies Riyadh and Washington. In July, senior OPEC officials attended a workshop in Vienna with international law firm White & Case to discuss the NOPEC bill, and the lawyers advised avoiding public discussion of oil prices and rather talk about the stability of the oil market, two sources familiar with the matter said. 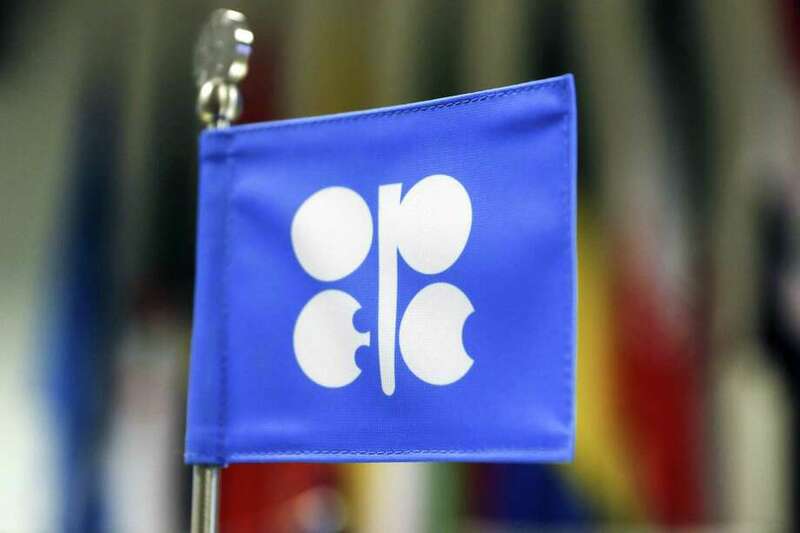 OPEC officials were also advised to explore diplomatic lobbying channels to try and prevent the NOPEC bill from becoming law, one of the sources said. On Aug. 1, the OPEC secretariat sent a letter to the ministers making a similar recommendation. “We solemnly believe that market stability, and not prices, is the common objective of our actions,” UAE Energy Minister Suhail al-Mazroui, who holds the rotating OPEC presidency this year, wrote in the letter, seen by Reuters. “I would like to call upon OPEC Member Countries, as well as our participating Non-OPEC colleagues, to refrain from any reference to prices in their commentary about our collective efforts or oil market condition,” he added. White & Case did not respond to a Reuters request for comment. Specifying oil prices is not the only way OPEC tries to guide the market. By cutting production it can support prices and by raising supplies it can do the opposite, for example. But the private coordination of how to communicate OPEC’s message to the market represents a departure from past practice, when Saudi Arabia would often signal a preferred price level when speaking about OPEC policy and seek to push through actions to achieve that. While chances of the law passing this year appear slim, concerns among OPEC members and other oil producers are growing that it may ultimately get the support of Trump, given his open criticism of OPEC and high oil prices. The OPEC letter came two months before U.S.-Saudi relations were further strained when a Saudi journalist disappeared during a visit to the kingdom’s consulate in Istanbul. Turkish officials say they believe Jamal Khashoggi, a critic of Saudi policies, was murdered and his body removed. Saudi Arabia has strongly denied killing Khashoggi. Some members of the U.S. Congress, which has long had a testy relationship with Saudi Arabia, have criticized the kingdom over the case. A Senate source familiar with the bill said renewed interest in NOPEC was likely, as lawmakers weigh any actions in response to Khashoggi’s disappearance. The source, who declined to be named, said that with lawmakers out of town for the next several weeks, it was difficult to measure current sentiment. Over much of the last year, Saudi Arabia irked Washington by pushing OPEC to adopt measures to boost oil prices in a shift from its previous, more moderate stance. Industry sources have linked that shift to a desire to maximize revenues and raise the valuation of state energy giant Saudi Aramco ahead of a planned IPO, a key part of Crown Prince Mohammed bin Salman’s reforms aimed at diversifying the economy. The share float, expected by some to be worth up to $100 billion, has been put on hold, sources have told Reuters. Prince Mohammed said this month the float was postponed to 2021, and several industry sources say the delay was partly because of litigation risks if Aramco was listed in New York, a preferred venue by the Saudi crown prince. “There is a major fear NOPEC could turn into another JASTA,” one of the sources familiar with Aramco IPO preparations said, referring to the Justice Against Sponsors of Terrorism Act which allows victims of the Sept. 11, 2001, attacks to sue Riyadh. Saudi Arabia, which denies involvement in the attacks, had long had broad immunity from the lawsuits. That changed in 2016, when the U.S. Congress overrode then-President Barack Obama’s veto of JASTA. With close to $1 trillion in investments in the United States, including assets owned by Aramco, Riyadh has a lot to lose if the NOPEC bill was passed into law. It would revoke the sovereign immunity which oil producers, including OPEC members, currently enjoy from U.S. legal action. Washington-based legal firm Gibson Dunn and the Saudi embassy there signed a contract in late August, according to a copy of the contract filed to the U.S. Department of Justice. The contract outlines that among its other responsibilities, Gibson Dunn would be “opposing NOPEC”. Saudi Energy Minister Khalid al-Falih has also raised concerns over NOPEC with senior U.S. officials including U.S. Energy Secretary Rick Perry during private meetings, two sources familiar with the talks told Reuters, on condition of anonymity. A vessel carrying 2 million barrels of Iranian oil discharged the crude into a bonded storage tank at the port of Dalian in northeast China on Monday, according to Refinitiv Eikon data and a shipping agent with knowledge of the matter. Iran, the third-largest producer in the Organization of Petroleum Exporting Countries (OPEC), is finding fewer takers for its crude ahead of U.S. sanctions on its oil exports that will go into effect on Nov. 4. The country previously held oil in storage at Dalian during the last round of sanctions in 2014 that was later sold to buyers in South Korea and India. The very large crude carrier Dune, operated by National Iranian Tanker Co, offloaded oil into a bonded storage site at the Xingang section of the port, according to a shipping source based in Dalian, adding this was the first Iranian oil to discharge into bonded storage in nearly four years. The tanker left the Iranian oil port at Kharg Island on Sept. 12, according to ship-tracking data. The Xingang area is home to several tank farms including commercial and strategic reserves. China National Petroleum Corp (CNPC) [CNPC.UL] and Dalian Port PDA Co Ltd (601880.SS) both operate commercial storage in the area, according to information on their company websites. An investor relations official at Dalian Port declined to comment.A manager at the bonded crude storage site operated by Dalian Port declined to comment whether Iranian oil were moved to the tanks, calling it the “worst time” to give any comment regarding Iranian crude because of the U.S. sanctions. A person at the CNPC-owned storage site who refused to identify himself when contacted by Reuters said it is “impossible” that the oil is stored there. A spokesman for CNPC said he had no information on this matter. An executive with the China office of National Iranian Oil Co (NIOC) declined to comment. NIOC also did not respond to an email request seeking comment if it is storing oil at Dalian. The shipping source said there is no buyer earmarked for the cargo. Three other NITC tankers are set to arrive in Dalian in the next week or two, the ship-tracking data shows. Some of those cargoes are also likely to end up in bonded storage as the refineries in the region, controlled by CNPC, are not equipped to process Iranian oil, said three sources at state-run Chinese refiners. China’s Iranian oil buyers, including state-owned refiner Sinopec (0386.HK) and state trader Zhuhai Zhenrong Corp, have shifted their cargoes to vessels owned by NITC since July to keep supplies flowing as the U.S. sanctions have been re-imposed. Keeping oil in bonded storage gives the shipment owner the option to sell into China or to other buyers in the region. In early 2014, NIOC leased bonded tanks in Dalian and oil from there was shipped to South Korea and India, Reuters reported. DUBAI (Reuters) - Saudi Arabia on Sunday warned against threats to punish it over the disappearance of journalist Jamal Khashoggi last week, saying it would retaliate against any sanctions with tougher measures, as international criticism increased. Khashoggi, a U.S. resident and Washington Post columnist critical of Saudi Arabia, disappeared on Oct. 2 after entering the Saudi consulate in Istanbul. Turkey's government believes he was murdered inside the building and his body removed. Saudi Arabia has denied that. U.S. President Donald Trump has threatened "severe punishment" if it turned out Khashoggi was killed in the consulate, though he said Washington would be "punishing" itself if it halted military sales to Riyadh, a key ally. "The Kingdom affirms its total rejection of any threats and attempts to undermine it, whether by threatening to impose economic sanctions, using political pressures, or repeating false accusations..." the official Saudi Press Agency (SPA)quoted an unnamed government source as saying. "The Kingdom also affirms that if it receives any action, it will respond with greater action, and that the Kingdom's economy has an influential and vital role in the global economy," the source added, without elaborating. Britain, France and Germany told Saudi Arabia they were treating the case with "the utmost seriousness". "There needs to be a credible investigation to establish the truth about what happened, and - if relevant - to identify those bearing responsibility for the disappearance of Jamal Khashoggi, and ensure that they are held to account," the foreign ministers from the three countries said in a joint statement. "We encourage joint Saudi-Turkish efforts in that regard, and expect the Saudi Government to provide a complete and detailed response. We have conveyed this message directly to the Saudi authorities." The statement, by British foreign minister Jeremy Hunt, France's Jean-Yves Le Drian and Germany's Heiko Maas, made no mention of potential actions the countries might take. The Saudi stock market lost $33 billion of its value on Sunday amid investor worries about deteriorating international relations, one of the first signs of the economic pain that Riyadh could suffer over the affair. In a column published just after the SPA statement, Saudi-owned Al Arabiya channel's General Manager Turki Aldakhil warned that imposing sanctions on the world's largest oil exporter could spark global economic disaster. "It would lead to Saudi Arabia's failure to commit to producing 7.5 million barrels. If the price of oil reaching $80 angered President Trump, no one should rule out the price jumping to $100, or $200, or even double that figure," he wrote. U.S. senators have triggered a provision of the Global Magnitsky Human Rights Accountability Act requiring the president to determine whether a foreign person is responsible for a gross human rights violation. The act has in the past imposed visa bans and asset freezes on Russian officials. Anti-Saudi sentiment in the U.S. Congress could conceivably raise pressure to pass the so-called No Oil Producing and Exporting Cartels Act, which would end sovereign immunity shielding OPEC members from U.S. legal action. A senior member of Saudi Arabia's ruling family, Prince Khaled al-Faisal, has met Turkey's President Tayyip Erdogan to discuss Khashoggi's disappearance, two sources with knowledge of the matter told Reuters without providing details of the talks. On Friday, a source with links to the prince's family said Prince Khaled, the governor of Mecca, had been sent to Turkey in his capacity as special adviser to King Salman. A Turkish official told Reuters on Sunday that the Saudis had said they would allow the consulate to be searched, and that this would happen by the end of the weekend, though he had conceded to "flexibility on this date." "But Turkey is determined on the subject of entering the consulate and carrying out a criminal inspection. There is no alternative to carrying out this inspection. Time is important in terms of evidence," the official said. This was a significant change to the export pattern seen since early 2017. Chinese buyers, led by the world’s top tanker charterer, Unipec, were rumoured to have stayed away – and new data proves it, the organisation said. Current rumours suggest that Chinese buyers returned early this month but to what extent will be clearer later. Despite being left out of the ‘official’ trade war at the last minute, crude oil was removed from the Chinese $16 bill list before it came into force on 23rd August, 2018, crude exports are now taking centre stage. BIMCO’s Chief Shipping Analyst, Peter Sand, explained: ”The tanker shipping industry is hurt when distant US crude oil export destinations like China, are swapped for much shorter hauls into the Caribbean and South, North and Central America. “The trade war is all around us now. What appeared on the horizon half a year ago is now impacting many seaborne trading lanes. All commodities may be impacted regardless of them being officially tariffed or not. What we see in terms of crude oil transport, is harmful to the global shipping industry as well as cumbersome to the exporters and importers of the product,” he warned. In 2017, Chinese imports accounted to 23% of total US crude oil exports. This year, they fell slightly to 22% during the first seven months. In August the share dropped to zero. In September, total US crude oil exports, excluding to china, hit a new record at 6.96 mill tonnes. Exports to Asia jumped in June and July, from a 43% share of total exports since the start of 2017 to reach a 56% share. In August, that share fell back to 46%. The two other major importing regions are Europe (26%) and North and Central America (18%), while South America (5%), Caribbean (2%) and others (4%) make up the rest. (August share of exports in brackets). Sand added: “For the crude oil tanker shipping industry distances often matter more than volumes. Even though volumes were a record high, tonne/mile demand dropped by 19% from July to August, due to the shift in trade patterns. “Exports to Asia are by far the most important. When measuring the tanker demand in tonne/miles, exports of US crude oil to Asia generated 70% of tonne/mile demand on that trade in August– down from 78% in June and 75% in July,” he concluded. President Donald Trump is proposing removing restrictions on the sale of gas with 15 percent ethanol. Ethanol is made from corn, so farmers support the move, but there are concerns about air pollution. The price at the pump might only go down a few cents if the restrictions are removed. President Donald Trump wants to allow sales of gasoline with 15 percent ethanol, known as E15, year-round. Current law prohibits the sale of E15 during the summer — gas in the summer must contain no more than 10 percent ethanol — because the higher ethanol gas can produce more smog in warmer weather. Farmers are lauding Trump’s plan because it would increase the demand for corn, a welcome change since prices have dropped due to Trump’s trade tariffs. An expected potential increase in ethanol demand from China has been stalled by China’s retaliatory tariffs on U.S. goods. Although the percentage change could reduce the cost of a gallon of gas at the pump, the price difference is likely to be minimal. Click to find out which states are actually being hit hardest by Trump’s tariffs. Sal Gilbertie, president and chief investment officer at Teucrium Trading LLC, said in an interview with MarketWatch that “a gallon of ethanol is about 70 cents cheaper than a gallon of gasoline, which means adding 5 percent more ethanol will reduce the price of a gallon of gasoline by about 3 ½ cents.” If demand for ethanol increases, the price could go up, negating the price advantage altogether. GasBuddy reports that the average price for a gallon of regular unleaded gas in the U.S. was $2.904 on Tuesday, Oct. 9. Last year, the average was $2.472. Ethanol isn’t the only factor in the changing price of gas from summer to winter. There is a higher demand for gas in the summer, but that’s just one factor. Summer-blend fuel is more expensive to make because the process takes longer and yields less per barrel of oil. These costs can tack on an estimated 3 to 15 cents per gallon, according to NACS, a convenience store and fuel retail advocacy group.